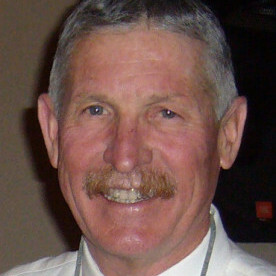 Russell graduated in 1979 from the University of California at Santa Cruz with a focus on raptor conservation and wildlife management. He was a founding member of the Santa Cruz Predatory Bird Group, participating in the early California condor and peregrine falcon recovery efforts. He attended the University of California at Davis (UCD), in a graduate program in Avian Sciences, supervising the UCD Raptor Rehabilitation Center, associated with the UCD College of Veterinary Medicine. In 1986 Russell graduated from veterinary school at UCD. Following graduation, he was an associate veterinarian at Anacapa Animal Hospital in Ventura, California and then at the Animal Clinic of Santa Cruz, California, responsible for small animal and avian veterinary practice, continuing with raptor conservation and wildlife rehabilitation projects. In 1989, Russell entered a residency in Diagnostic Imaging at the University of Tennessee and became an American College of Veterinary Radiology board-certified radiologist in 1992, accepting a faculty position in Veterinary Clinical Sciences at Washington State University (WSU) in Pullman, Washington. At WSU, Russell served as a clinical radiologist and instructor in diagnostic imaging. During a sabbatical leave in 2000, Russell was the first veterinary radiologist to complete the Imaging Fellowship at the University of California Medical Center, San Diego, California, focusing on magnetic resonance imaging and computed tomography of musculoskeletal disorders in humans, collaborating with the world’s leading diagnostic imaging faculty. He has received numerous awards for innovations in teaching diagnostic imaging, has an extensive publication record in both large and small animal imaging, and collaborations with researchers in human medical imaging and biomedical development. Russell has been an active member of the Veterinary Orthopedic Society (VOS) for 20 years and served on the VOS Board of Directors from 2002-2006, and as the VOS President in 2011-2012. Russell served over 15 years on the Biotechnology Advisory Committee, at the Washington Technology Center, a state-sponsored funding agency for advancement of biotechnology and medical device development for the State of Washington. He served as president for the American College of Veterinary Radiology MRI/CT Society for 2 terms. He has been an invited speaker on diagnostic imaging in large and small animals around the world at international conferences and veterinary colleges. Russell retired from WSU in 2016 and now provides private teleradiology consultations from Coeur d’Alene, Idaho, USA.